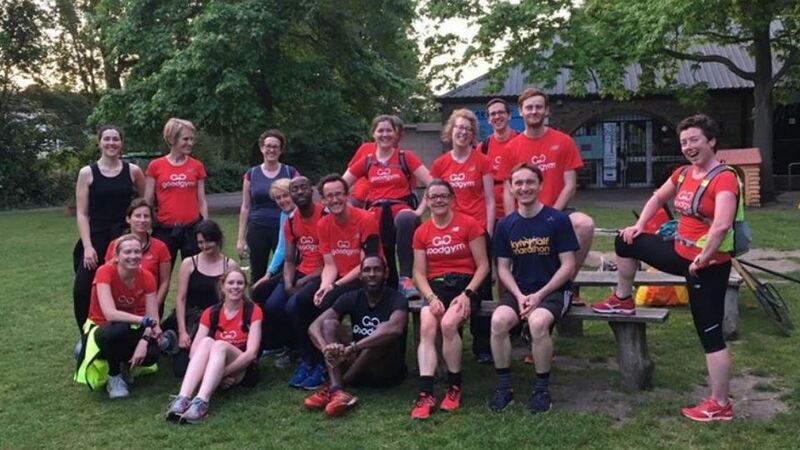 Hither Green & Lee News – What's on in SE12 & SE13! We’re busy finalising the line up for this year’s Hither Green Festival! While there wont be a Food and Craft Fair n the park this year- the Fair will be back in 2020– the Quaggy Ducks are back with us and so are the Teddy Bears’ Picnic and Wellmeadow Rd Street Party! Businesses and groups across the area are planning great food, music, films and dancing! 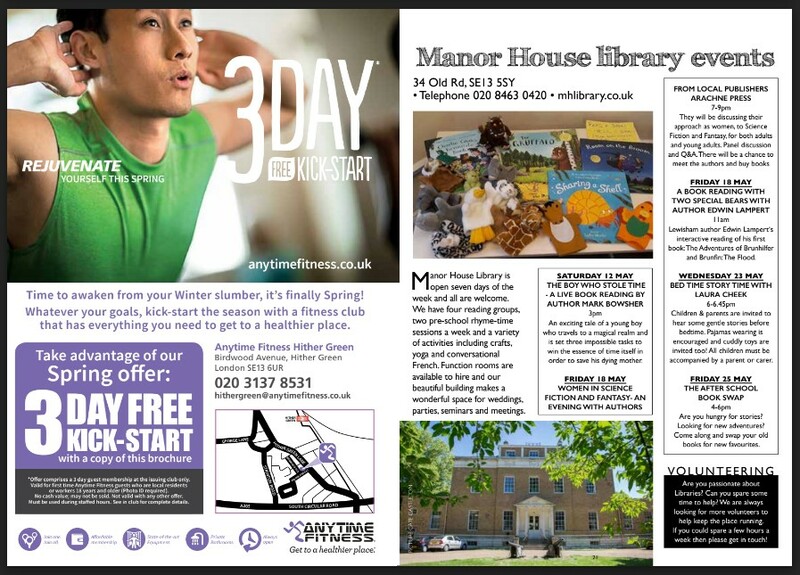 The excellent Music and Arts Fringe at Manor Park has a full busy schedule of talented local people too! Look out for the Booklet in a few weeks time- you’ll be able to pick it up from local stores. Last Call for Advertisers and Children’s Events! Last call for Festival Advertisers: If you’re a local trades person or business, then get in touch over the weekend to get your classified advert in front of 10, 000 local people! Send an email to info@ourhithergreen.com. Last call for events for children and young people. Do you run a dance class, language, art, music or drama activity for young people? If you’ll be running workshops between 18-26 May, please get in touch to have them considered for inclusion in the 2019 Festival Timetable. 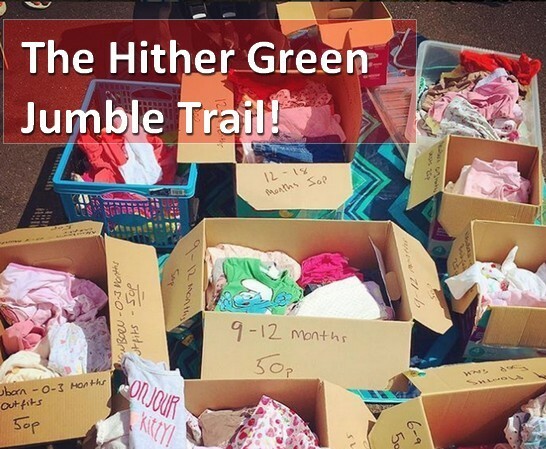 Register for the Hither Green Festival Jumble Trail. Sunday 19 May A day of co-ordinated front garden sales across HG, it was an enormous success last year! You can register to sell pre-loved toys, clothes, books, kitchen equipment, furniture… whatever you don’t have room for any more! Pay your £5 entrance fee here: paypal.me/jumbletrail The fee goes to charity. The date of the task will be Monday 20 May 2019. Time from 7-8pm. Open Gardens- Sunday 26 May: Open Your Garden this summer! This is the 11th year of Open Gardens and it is always such a lovely afternoon! We’re looking for new people and new gardens to join in! Gardens in HG come in all sizes and styles and we’d love to showcase more of them. Everyone involved is a local resident, no one is looking for manicured lawns and hot tubs! 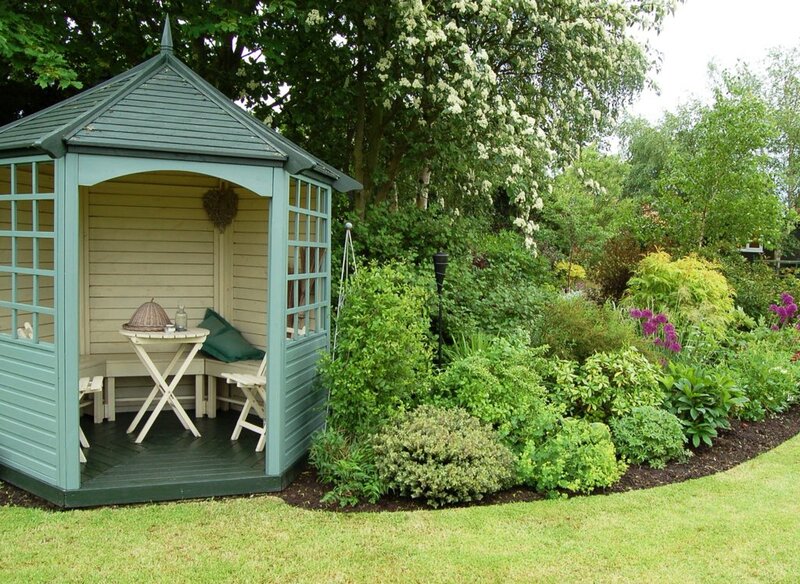 Visitors will have similar gardens and they just want to see what is possible in a suburban garden. What you’ve done with your child’s trampoline and swing set? What you’ve done to attract wildlife to your space?! You can sell a few cuttings, and some cake too! If you wish to take part this year, please drop an email to Info@ourhithergreen.com You can also get in touch if you would like to speak to people who have previously opened their gardens for advice/ reassurance! Help Make a Hither Green Meadow this Monday! 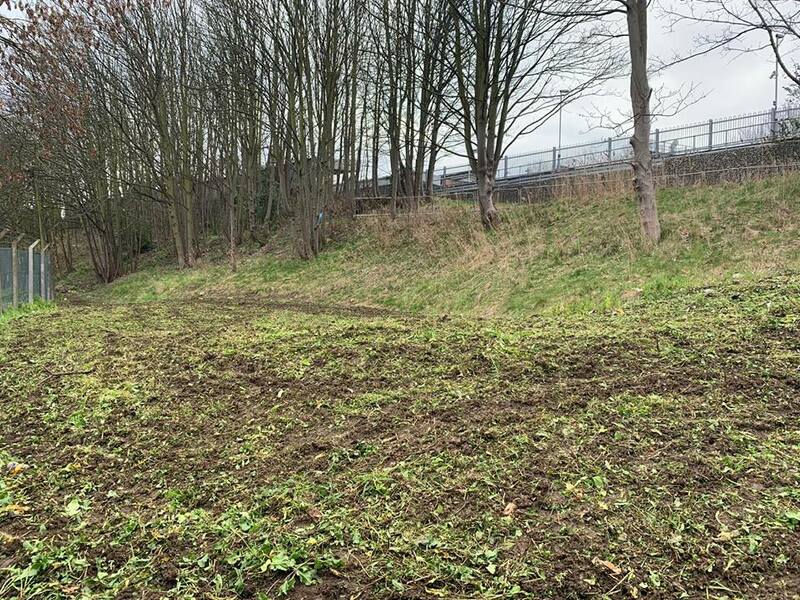 The Fernbrook Road Meadow was rotavated today! 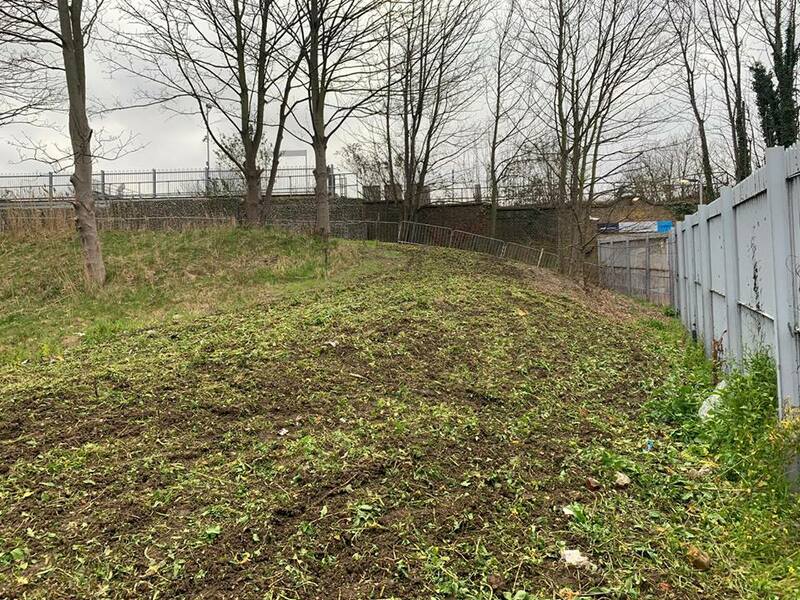 Hither Green Community Association and FUSS at Hither Green are organising a mighty clean up and cut back of the station embankments. Lots of volunteers with various energy levels required! – A quiet litter pick for 20 mins? – An hour of fighting the brambles on Springbank Road? – Or popping along for 5 mins to get the rotavator to works. Refreshments, work boots and gloves are provided. Hi- vis and H&S talk before hand. Over 18s only. Thems the rules. Christmas Trees For Sale at the FUSS Christmas Fair! Christmas starts THIS Saturday at the FUSS Christmas Fair on Staplehurst Rd! Pick up a beautiful, freshly cut non-drop Nordmann Christmas tree from the Hither Green Community Association stall. Come early and secure a tree as they are always sold out by the early afternoon. Trees are available in all sizes. Proceeds from the trees fund the work of the Hither Green Community Association all year, including the planting of street trees! Once again they will be donating a 12ft tree to the congregation of St Swithun’s Church on Hither Green Lane. Pro-tip: wherever you buy your tree, most likely it won’t have roots; so keep the tree well misted with a water bottle sprayer or have it stand in some water. Your tree will keep fresh well into the New Year!